Helps women hair to eliminate problems such as itching, dandruff, oily and falling hair. Prozinc Fresh Shampoo contains collagen amino acids to better strengthen and rehydrate hair body, make hair more flexible and manageable, and to protect hair against harmful external factors and UV radiation. Glycerin, lactilol, and xylitol used in the formulation of Prozinc Fresh Shampoo soothes scalp, keeps it hydrated for a long time, and prevents damage to the skin barrier. 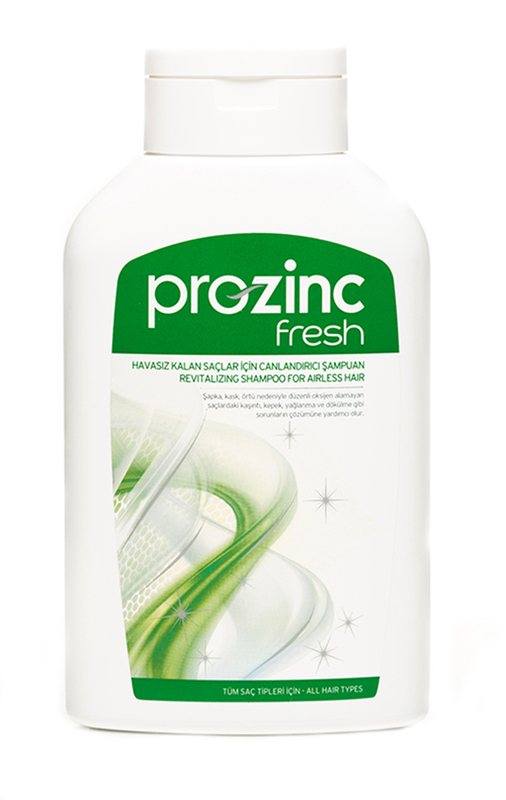 Prozinc Fresh Shampoo contains Hairloss Prevention Herbal Complex to stop falling of hair. Prozinc Fresh Shampoo contains hydrolyzed keratin to provide intensive care to the damaged hair surface Pour sufficient amount of Prozinc Fresh Shampoo onto your palm, apply to wet hair, and lather, massaging in a circular motion for 2-3 minutes. Then, rinse it thoroughly, and repeat as necessary. 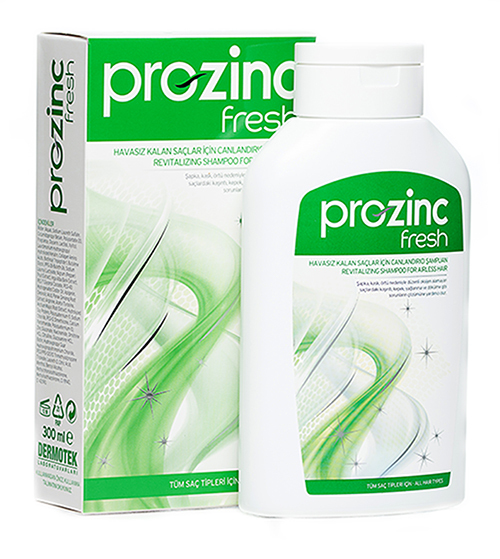 Prozinc Fresh Shampoo should not be used in combination with any other shampoo. It is recommended to use it regularly. Pour sufficient amount of Prozinc Fresh Shampoo onto your palm, apply to wet hair, and lather, massaging in a circular motion for 2-3 minutes. Then, rinse it thoroughly, and repeat as necessary. Prozinc Fresh Shampoo should not be used in combination with any other shampoo. It is recommended to use it regularly.